Why buy recycled plastic furniture? Recycled Plastic Outdoor Furniture, unlike the wooden variety of outdoor furniture, never needs paint or toxic preservatives, looks good as new for a lifetime, UV protected against fading, and Kedel's robust construction means you will be unlikely to have to replace it in your lifetime. This is innovation that works. Our recycled plastic wood products look and feel just like wood, but have all the advantages of plastic. So, save yourself a lot of time, effort and money - buy recycled plastic outdoor furniture just once and never have to worry about it again. These beautiful benches are designed to please the eye as well as the pocket. Extremely robust in construction and very comfortable. Outdoor Seating that can withstand harsh weather without harm. Recycled Plastic Chairs never need any maintenance and can be cleaned with water and normal household detergents. By once and enjoy for a lifetime. Outdoor products for children that will never need any special treatment or maintenance other than water and mild detergent occasionally. Can remain outdoors all the year round. Parasols, cushions, wood stores, screws and memory plaques - Find the right accessories for you. 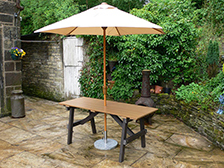 Tables to last a lifetime, robust construction, made from recycled British plastic, easy to clean and maintain. 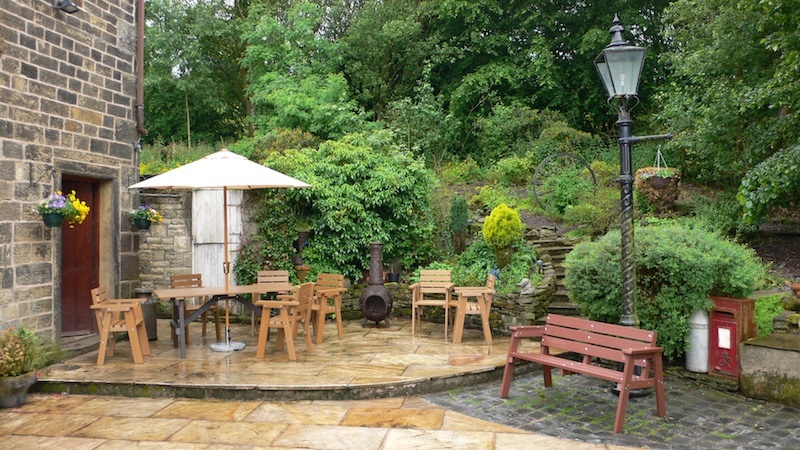 Beautiful Garden furniture immune to British weather conditions that will never need any time-consuming maintenance. Never rots, has no splinters, does not absorb moisture, is frost proof and UV protected against fading. Can be left outside all the year round and if necessary hosed off and wiped down with soapy water once a year. This is the outdoor furniture of the future available today. Buy it once and enjoy for a lifetime.